Every year, TIA brings together faculty and students from their four locations around Tucson to open the eyes of their students to the potential opportunities that await them once they graduate. Many of the careers featured, like working for the F.B.I. or becoming an architect, would require a formal college education. 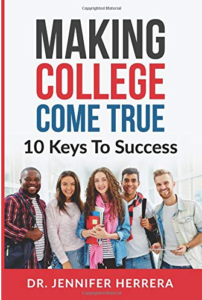 However, students were also exposed to opportunities like joining the police force, border patrol, or construction which do not require a college degree. Each career exhibit brought something representative of their work. Some booths had many pictures or demonstrations of a “day in the life” of a particular occupation, while others gave opportunities for hands-on activities so students could gain their first experience of a required job element. 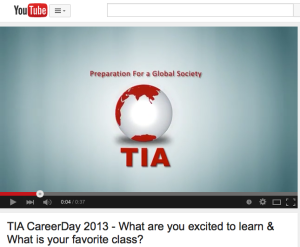 Watch the video’s below to see what some of the students had to say about TIA’s Student Career Day 2013. Students share their thoughts on the future, their favorite class, teacher and and what they want to do with their lives. Keep up with the latest news from TIA. Sign up with your email address to keep informed.